Vacuum tubes all required some level of hand assembly by human workers, at least for positioning grids and attaching/routing the leads to external connection pins. A 1940s vintage film titled "Electrons on Parade" made by RCA shows how laborious the process was. 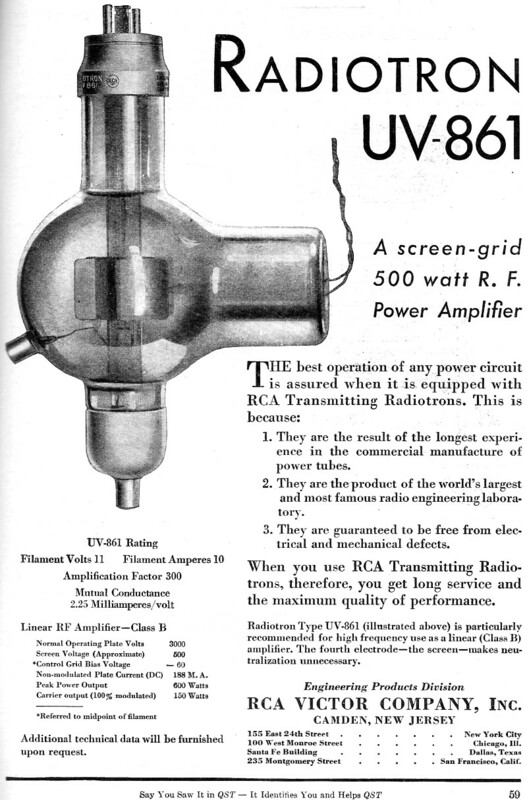 Tubes like this Radiotron UV-861 required a human glass blower to form each one individually, as opposed to standard tube shells being machine-blown. 1. They are the result of the longest experience in the commercial manufacture of power tubes. 2. 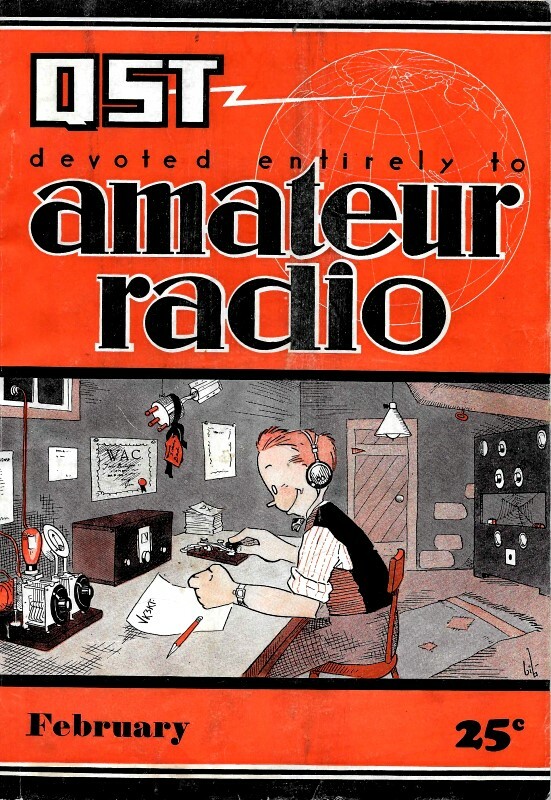 They are the product of the world's largest and most famous radio engineering laboratory. 3. They are guaranteed to be free from electrical and mechanical defects. When you use RCA Transmitting Radiotrons, therefore, you get long service and the maximum quality of performance. 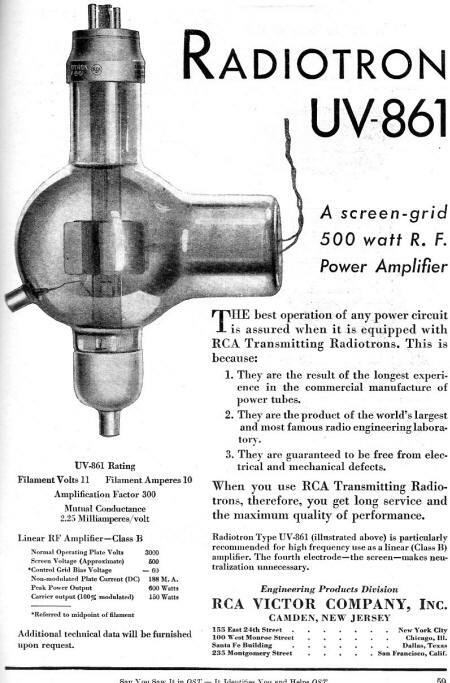 Radiotron Type UV-861 (illustrated above) is particularly recommended for high frequency use as a linear (Class B) amplifier. The fourth electrode - the screen - makes neutralization unnecessary. Non-modulated Plate Current (DC) 188 M. A. Additional technical data will be furnished upon request. 100 West Monroe Street Chicago, Ill.
235 Montgomery Street San Francisco, Calif.